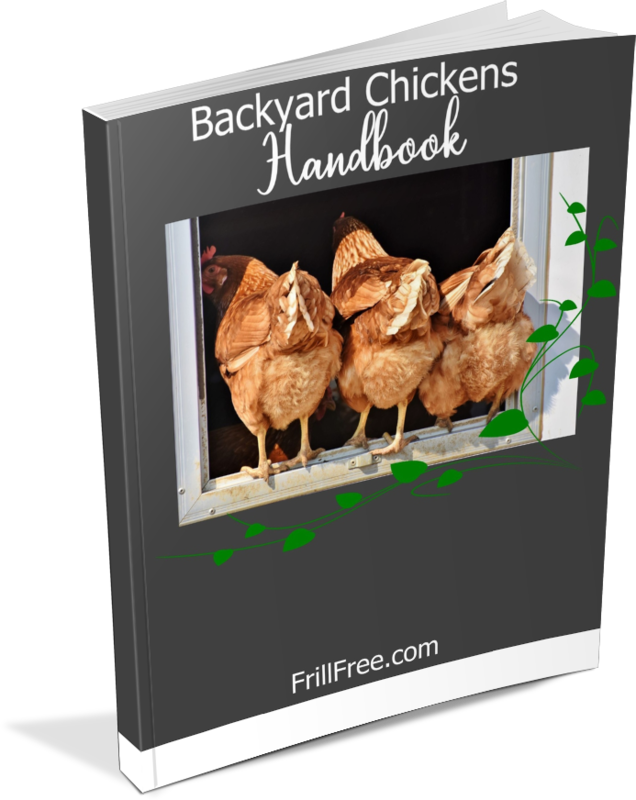 Chickens love greens and protein on the hoof (insects and earthworms) and will pretty much destroy your garden in their efforts to get every last bug, weed, shoot and insect egg. As omnivores they are easy to feed from a variety of sources. To prevent them from devastating your entire garden, make a chicken herbarium to keep them happy with all the greens they can eat. The greens they crave give the eggs that gorgeous rich golden coloured yolk, and it also provides the nutrients to make a healthy chick if you’re hatching those eggs. Chickens love anything dark green, too bad if it’s something you like too, such as spinach or collards. They love alfalfa, comfrey and most weeds, especially accumulators that bring up the small amounts of minor nutrients from deep under the topsoil. This is the only way chickens can naturally get boron, magnesium and other micronutrients if it’s lacking in their feed, which it so often is nowadays as most commercial feed is grown on nutrient poor soil. Growing a chicken herbarium gives you the control over what they have access to, while giving them the greens they love. It prevents them from scratching the roots up, and the tops continue to grow to provide a new crop continuously. The minor care your chicken herbarium will require is watering when very dry, and the occasional top dressing of compost or worm castings. Other than that, the chickens will take care of pruning it for you. Alfalfa is the primo number one choice of chickens and their keepers, due to the long taproot which will bring up lots of nutrition from deep into the subsoil. The roots on an individual alfalfa plant have been known to go as deep as 3 meters (10') underground, with an equal or greater spread into the surrounding soil. This ensures its winter hardiness, and drought tolerance. Once a bed of alfalfa is established, nothing will get it out short of a backhoe. Comfrey is another plant with a long taproot, although in this case the root tends to be more carrot like and can be up to 3-5cm (about an inch) thick. Though not so far roaming as alfalfa but equally difficult to dig up, comfrey provides many nutrients rarely found in other plants. Chickens love the flavor, and for an added bonus, bees will find the flowers very much to their liking. A patch of comfrey under apple or other fruit trees provides free range chickens with an almost complete diet. Fall rye and other green manure cover crops such as clover will be appreciated in the chicken herbarium, however, they may be short lived and have to be reseeded periodically. Dandelions, the new young growth especially is filled with vitamins and the golden yellow blooms will be reflected in the yolks of the chickens that eat them. An area around 2x3 meters (10 x 15') will give your eight or ten chickens plenty of green stuff for most of the summer. 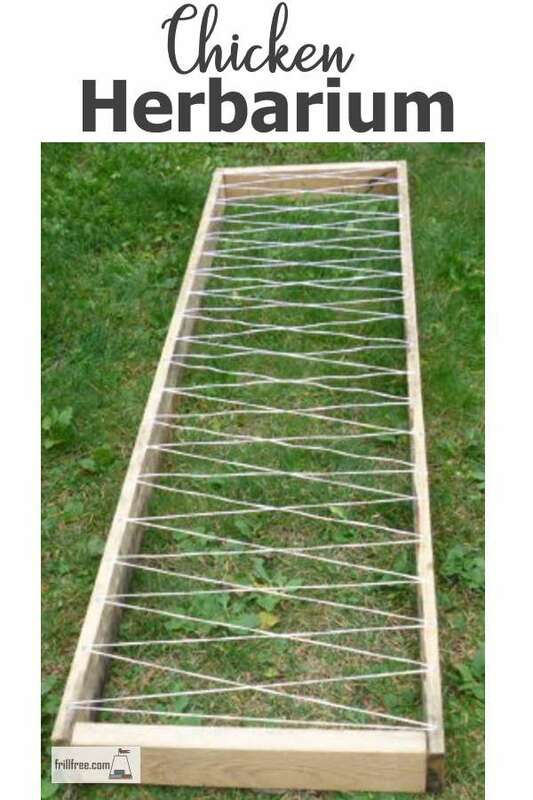 Build a frame out of any size lumber, and top it with medium chicken mesh. Partially fill with good compost, sifting it through the mesh, and seed your alfalfa or other herb on top. Water well, and expect any of the perennial plants to take up to three seasons to fill in enough to provide lots of greens. Once the chickens peck the foliage down to the mesh, the plant will regenerate. Several chicken herbariums around your garden will keep the chickens happy, and hopefully out of the spinach and lettuce patch.